If I could only give one piece of advice to someone about to list their home on the market, it would be “Put brand new white towels in all of your bathrooms”. “And don’t even think about using them or washing them!” New… Brand new! People are pretty hesitant to walk into someone’s personal space. And what is more personal than your bathroom. People are afraid they might see things they can’t unsee. Brand new (never been washed) white towels will put them at ease. It will allow them to view your bathroom as an unsoiled room that nobody uses. 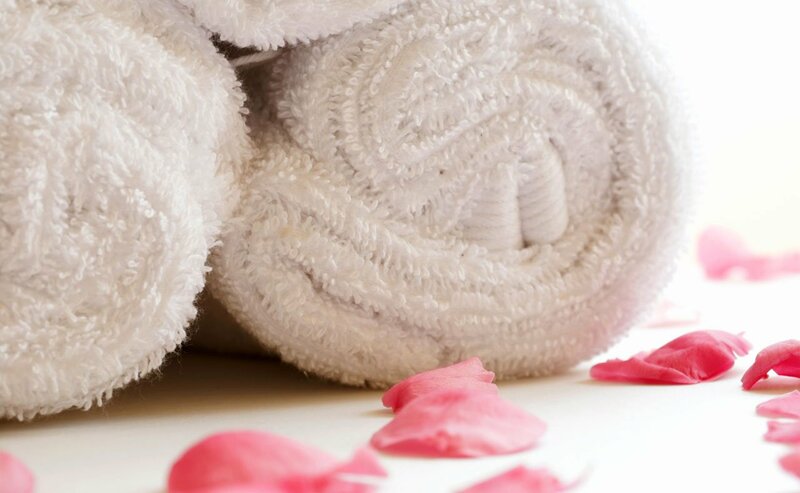 The white towels also photograph better and will give your bathrooms a spa-like feel. I also recommend picking up all the bathroom rugs. They never look good in the photos and they tend to make the bathroom look and feel smaller. They can also give the room a lived-in feel. Which we are trying to avoid. It’s also a good idea to put away ALL of your personal items. Clear the counters and all of the shelves in the shower and around the bathtub. Once you have put everything out of sight, you can bring in just a few items to add a bit of color and life back into the room. Think spa….think of a high-end hotel bathroom. I like to add an orchid or small plant to add life and then just a few decorative items around the sink. Check out our portfolio for more staging ideas.